With over 400,000 square feet of space, the downtown district boasts more than 80 cafes and restaurants and 150 street-level shops and services. 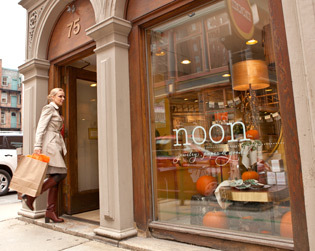 You’ll find bookstores, coffee shops and live music venues, along with clothing boutiques, salons, banks and gift shops. Explore our Downtown Directory for complete listings. Within the historic core of downtown, Dorrance Street separates the Financial District (to the east) from the Arts & Entertainment District (to the west). In the Financial District, you’ll find bustling activity throughout the work week and growing weekend foot traffic. Take a closer look at the Downcity Arts & Entertainment District–Providence’s historic shopping core. Bounded by the 3 parallel “W” streets—Washington, Westminster and Weybosset—from Dorrance to Empire, Downcity is home to unique shops, restaurants, theaters, and loft apartments. The University of Rhode Island has its downtown campus here, RISD has a presence on Weybosset, and the main Johnson & Wales University campus is located across the street. Students and creative companies add to Downcity’s young, vibrant atmosphere. Providence Place, connected by skywalk to the Omni Hotel, Rhode Island Convention Center and Dunkin’ Donuts Center, offers more than 170 stores, restaurants and services within 1,260,000 square feet of leasable space. Anchored by Nordstrom and Macy’s, the mall is also a regional entertainment center with an IMAX Theater and 16 additional screens. For more information about current tenants, or to contact General Growth Properties, visit: www.providenceplace.com. Interested in locating here? Search our current list of available spaces. You may also contact The Providence Foundation at (401) 521-3248. Downcity Fund: Qualified borrowers may receive grants and loans for projects that enhance the historic characterof downtown Providence and contribute to the vision for Downcity as a diverse arts and entertainment district. Funds may be used for awnings, signage, façade improvements, substantial renovations and new construction. Visit www.revolvingfund.org to access the construction loan application, storefront loan and grant application, and design assistance application. Providence Economic Development Partnership: Considering opening a business here? To get started, visit the city’s economic development website. Review 10 Steps to Starting Your Business in Providence, which includes details about business registration, licenses and permits, taxes and employer requirements. Contact one of the city’s business liaisons by calling PEDP at (401) 680-8400. Providence has been incredibly rich for us for a couple of reasons. Mainly, there’s a strong arts community here. We’re very creatively focused, and we’re always looking for interesting creative people. I’ve traveled all over the world, and I’ve never been anywhere with this same sense of community and awareness. Also, a comparable office space would probably not be an option for us in New York or Boston, and that would mean a very different work environment.